Handsome gents vintage pocket watch. Product code: 1316 Categories: Sold Items, Sold Pocket watches. This is a great example of a vintage Swiss pocket watch from the Art Deco era that would be perfect to add to a collection or for that special gift. 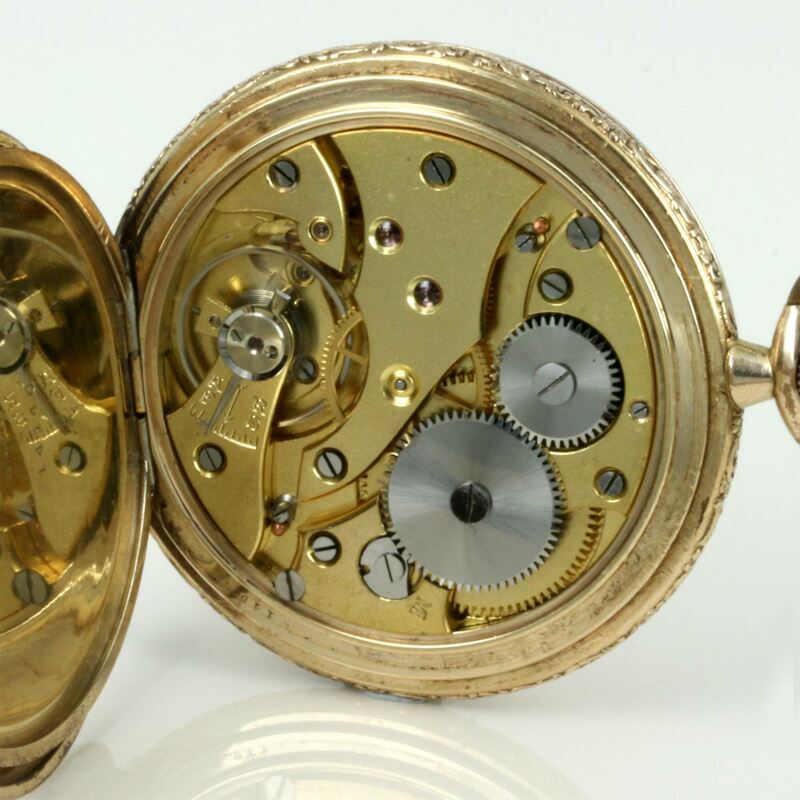 Made in Switzerland in the 1930’s, this gents pocket watch is made in a rolled gold case that measures 51mm across and has a wonderful geometric designed case. The dial is so easy to read and has those stylish Art Deco hands and numerals. Fitted with a 15 jewelled movement that has just been serviced and runs perfect, this is a great vintage Art Deco era pocket watch that will be cherished.